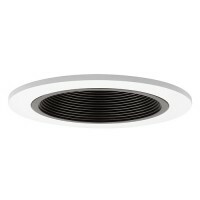 Total Recessed Lighting offers 4" LED baffle trim recessed lighting retrofit modules. 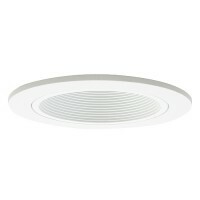 These LED modules are great anyplace where clean, energy efficient LED recessed lighting is required. No heat output from these modules which makes it an even better choice for your space.These retrofit modules are engineered for installation in standard line voltage housings. 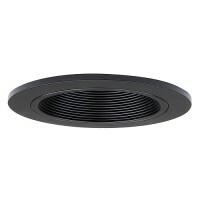 They fit your existing 4" recessed housing or any 4" line voltage recessed housing. You simply screw it in to the socket in the housing and attach it to the housing with the butterfly spring clips. It is just as easy as that. The 10 watt module offers over 400 usable lumens that are directed from the light source to the work surface (remember that lumens refers to the brightness of the light and wattage refers to the level of energy consumption of the bulb). Lighting is smooth, even and comfortable, all while using 75% less energy than the equivalent 65w BR30 and 25% less than the common 18w CFL. 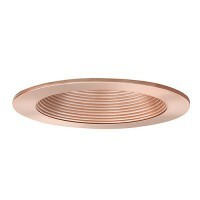 The LED module features 50,000 hours life.